To be added to the wait list or for more information, please contact the Registrar, Connie Durnan: connie.nama@gmail.com or (202) 669-5740. Although one of the largest counties in Wisconsin, Bayfield County has not one stoplight. It’s mostly National Forest, and in September the forests are carpeted with mushrooms. The habitat is mixed forest: black, red, and white oak species; red and sugar; birch and poplar; hornbeam and hop hornbeam; basswood; tamarack and black spruce; red pine; and white pine. This is the westernmost limit of the eastern hemlock; they’re common here. There are bogs to investigate with pitcher plants and large populations of lady slipper orchids. Northern Wisconsin’s wolf population is increasing steadily (though you may not see any); you will certainly see and hear loons on Lake Namakagon; black bear and elk are commonly seen, moose less so; this is about the only place in the USA east of the Rockies where you are likely to see fisher and marten. Lake Namakagon is a large freshwater lake located in the Chequamegon National Forest. The lake derives its name from the Ojibwe language, and it means "Lake abundant with sturgeons." Lake Namakagon is one of only three lakes in Wisconsin managed as a “trophy musky lake. Historically, the Northwoods was known for massive white pines. You will get a chance to see giant old growth white pines in several areas; many of these sentinels have been fostering mushrooms for several centuries. Some of our forays will pass along the North Country Trail; this is the longest National Scenic Trail in the USA (4,600 miles) and stretches from New York to North Dakota, linking seven northern states. The Lakewoods Resort on Lake Namakagon (http://www.lakewoodsresort.com/) near Cable, Wisconsin is a very comfortable resort with accommodations that will suit everyone. All rooms are hotel style with bathrooms in all suites. We’ve been assured that all persons requesting ground floor rooms (to avoid stairs) will get one. There is an elevator and all manner of handicap facilities in the main lodge. There is AC and heat in all rooms, of course. (For a peek inside the guest rooms at Lakewoods, visit their website above.) We have negotiated a terrific price for our entire package and can assure that the Lakewoods will be an excellent value for the money. 1 room Lodge double occupancy. Includes registration and all meals for one person. This option if for individuals who will arrange their own lodging in the area. It includes registration and all meals for one person. Besides really comfortable lodging, the Lakewoods serves excellent food! Our foray team has been to the area and the Resort many times and have even worked with the Head Chef in establishing our menu; we’re planning several Wisconsin-themed dinners to welcome members in style. Most NAMA members are coming for the mushrooms. 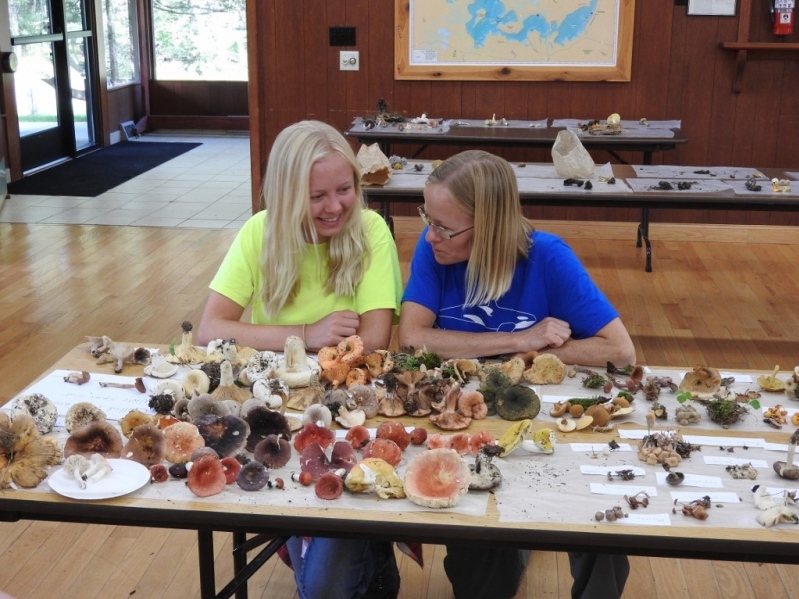 But many of us have spouses or other family members who do not … shall we say, share our zeal for all things fungal. 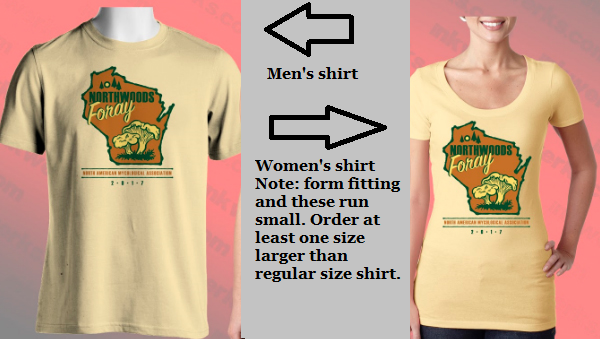 This foray is for the non-mushroomers too! There is so much to do during a stay at the Lakewoods. All guests are entitled to use the golf course at no extra charge. Same with the lake, which is right outside your door. There are boats and canoes at your disposal. Lakewoods Resort has a very nice tennis court and outdoor swimming pool (for the intrepid, September can be chilly); indoors, there is a very nice heated swimming pool and very large whirlpool. All nonmotorized recreation is free to all guests. Motorized boats, golf carts, etc. are available for a small fee. 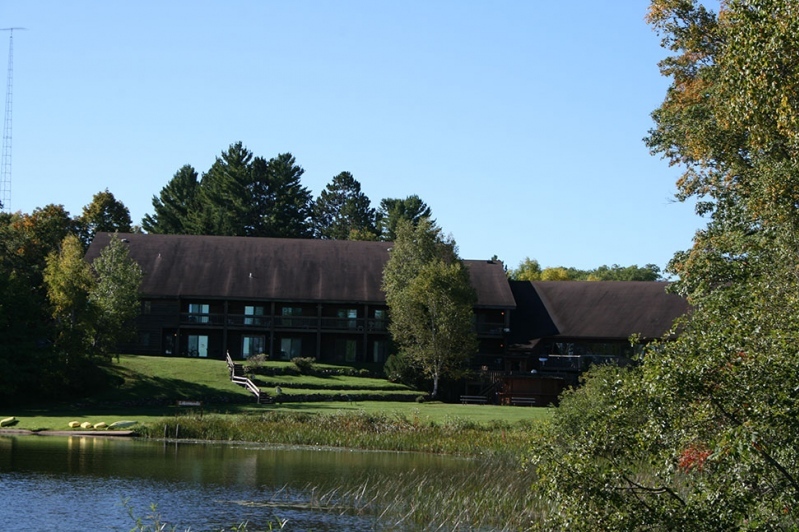 Most foray sites are a short drive (under 30 minutes) from Lakewoods Resort. There are also National Forest trails that cross the Lakewoods property for forays. We will have access to a preserve with collecting permission; Fairy Land Natural Resource Area is a special place and has been closed to any use for decades. 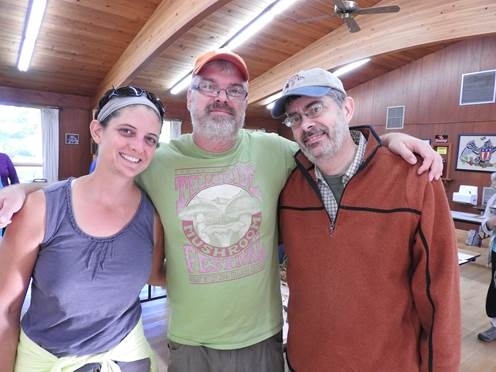 Emily Stone, Naturalist and Education Director at the Cable Natural History Museum, has been working on access to this site for our foray for a couple of years. We have picked several really fantastic “all-day” forays for the intrepid, including a very exciting all-day foray by boat to the Apostle Islands planned. If that sounds like your ticket and you need Dramamine, pack that. There is so much to do in the area (most NAMA members have likely never been to the “North Coast”) that you should plan to visit for an entire week or more. 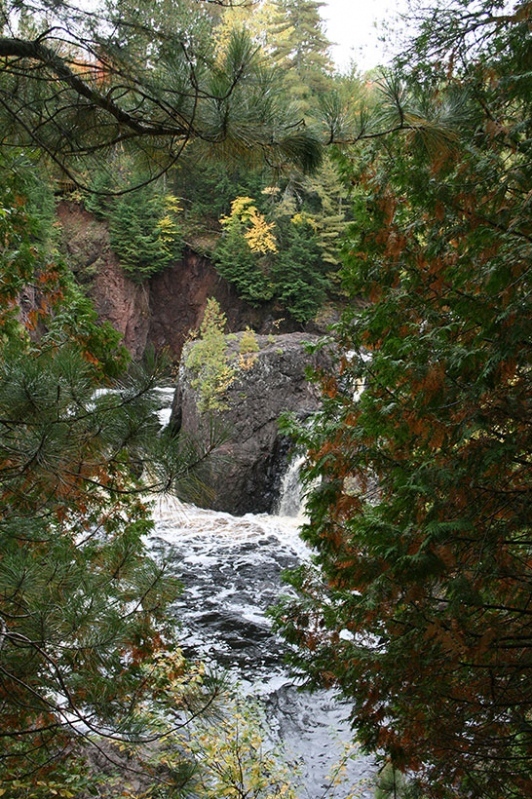 The Northwoods offer incredible scenery (the fall color change will be underway) and is a tremendous value. If coming from the East or West Coasts, you will find this area to be an absolute bargain. The town of Cable, Wisconsin, is about 3 hours from Minnesota-St. Paul Airport (your cheapest bet for air tickets); 90 minites from Duluth, Minnesota (which has a much smaller airport); 6 hours to Milwaukee; 8 hours to Chicago. Note: we have plans in place for a shuttle pick up to and from the Duluth Airport for NAMA attendees. If traveling the region before or after the Foray, there are many wonderful things to see and do (and feel free to email Britt Bunyard with questions). About one hour north of Cable are the scenic Apostle Islands and National Lakeshore. You can cruise the islands, hike or camp the parks of the National Lakeshore. Hopping on Route 2 headed east, you’ll soon cross into the Upper Peninsula of Michigan. The journey across the UP is a very easy drive with little traffic; there are many places to camp along the way in the Ottawa National Forest. There are plenty of affordable motel options. Around the midpoint of the UP, you may want to make a side trip to see the historic and beautiful Copper Peninsula or hike the scenic trails along the cliffs of Pictured Rocks National Lakeshore. On the eastern extreme of the UP is scenic Tahquamenon Falls State Park (famous haunt of mycologist A. H. Smith), Mackinac Island—great for a day trip!—and the amazing Mackinac Bridge to lower Michigan. The “Big Mac” Bridge is the fifth longest suspension bridge in the world and the longest in the Western hemisphere. The drive from Cable, WI, to the Mackinac Bridge in Michigan is easily made in a single day’s drive. 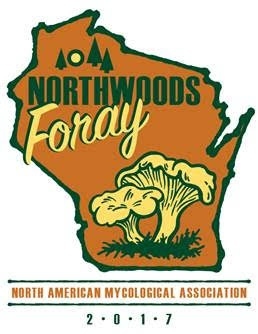 If you’re like half of the attendees coming to this year’s NAMA foray in Wisconsin, you’ll be unfamiliar with the mushrooms (and plants) of our area. Not to worry! We have an incredible lineup of presenters, instructors, foray leaders, and experts who will be on hand to educate and help us to figure out what’s what. 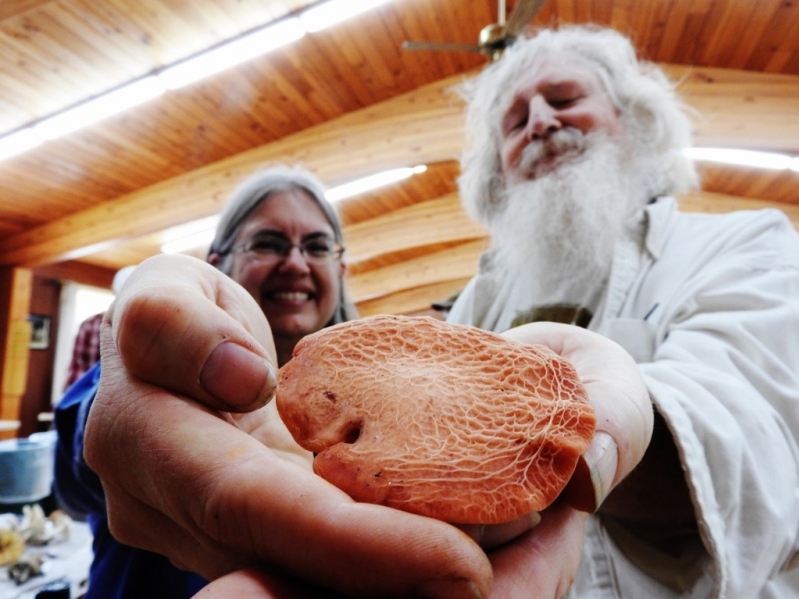 Our Chief Mycologist is Dr. Patrick Leacock, a long-time NAMA member and scientist at the Field Museum in Chicago. Our Keynote addresses will be given by Dr. Robert Blanchette (U of MN), Dr. Nicholas Money (U of Miami, Ohio), Dr. Michael Beug (Emeritus, Evergreen State U), and Dr. Greg Mueller (Chicago Botanic Garden). Additional presentations will be given by Dr. Lisa Grubisha (UW-Green Bay), Dr. Greg Thorn (U of Western Ontario), Dr. Heather Hallen-Adams (U of Nebraska), Dr. Daniel Lindner (Forest Products Lab at UW), Dr. Peter Kennedy (U of MN), Dr. Andy Miller (U of Illinois), Dr. Jonathan Walton (Michigan State U), Gary Lincoff (NY Botanical Garden), Dr. Tom Volk (UW-LaCrosse), and others. We have several hands-on (and taste buds-on) workshops planned to educate beginners in the ways of cultivation, photography, and “fermentology.” And, oh yes, there will be, not one, but two mycophagy events. Early September in northern Wisconsin is usually a very pleasant place to be outdoors. In the several years we have held a foray at this site, the forest conditions have always been nicely moist but not usually muddy as the heavy rains typically come in August. Temperatures have ranged from warm t-shirt days (last year) to more typically cooler jacket weather. We do have some forays planned to boggy sites but regular hiking boots should suffice. You would be wise to check weather in the days before heading to Bayfield County. Cooler weather has the advantage of bringing on the early fall colors and keeping away mosquitos. There are usually no other pesky insects. There is no poison oak. There are no snakes nor scorpions, nor really any other nasty creatures to watch for. Hiking is in general pretty flat with only the slightest of inclines—this is the Midwest. In fact, even persons with disabilities will be able to enjoy this year’s NAMA Foray. Our most scenic foray site is also fully wheelchair accessible. 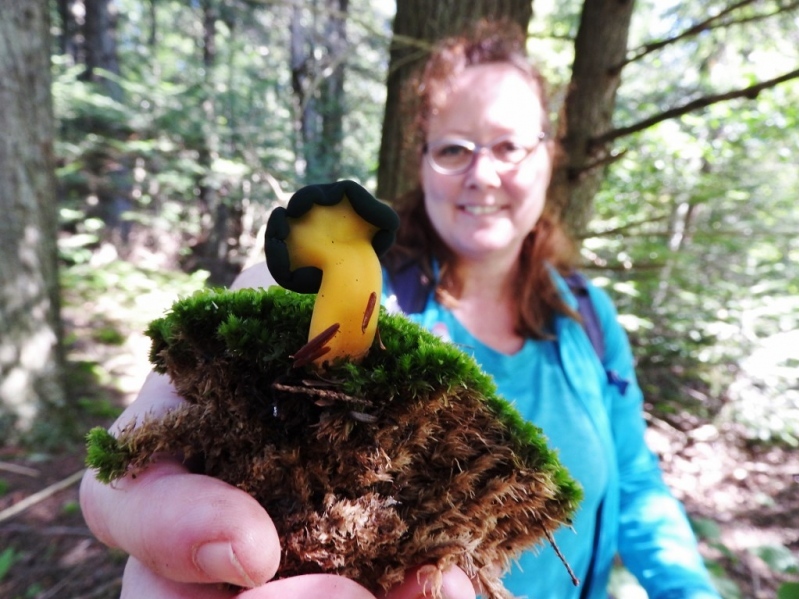 Fascinating Fungi of the North Woods by Cora Mollen and Larry Weber. It features watercolors of the mushrooms and great little stories, plus it’s not expensive. Mushrooms of the Midwest by Teresa Marrone and Kathy Yerich. It’s compact but crammed full of mushrooms, great descriptions and really nice photos; also very affordable. Co-author Kathy Yerich (of the MN club) will be at this year’s NAMA foray! Mushrooms and Macrofungi of Ohio and the Midwestern States from The Ohio State University Press. Two of the authors will be on hand at the foray—Walt Sturgeon and Britt Bunyard!